Was this story an encouragement to you? Let Charisse know - sign her guestbook! 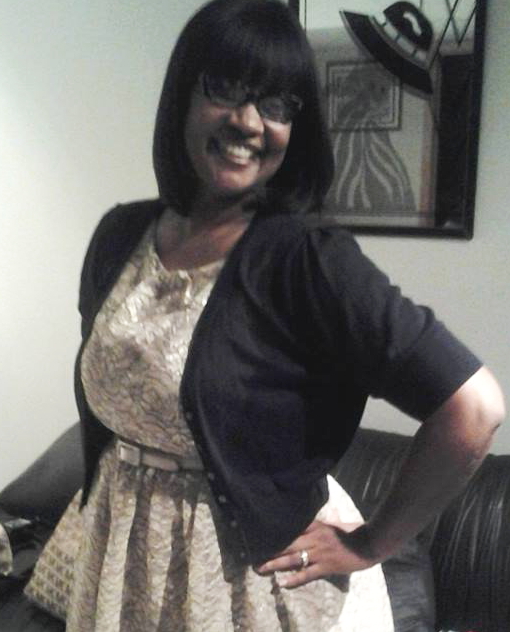 Charisse was 45 when she was diagnosed with dermatofibrosarcoma protuberans at the abdomen in 2013. She had surgery to remove the tumor. Before I was diagnosed, I was working part-time and attending college full-time. 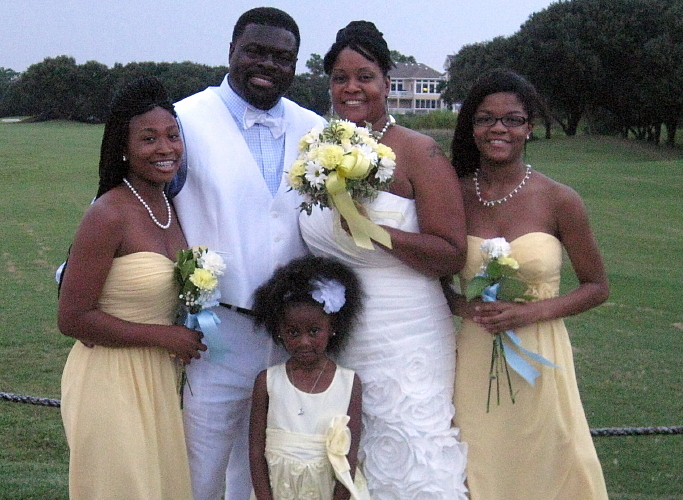 As the mother of two daughters, every day of my life was busy, and I was also planning a wedding for the summer of 2013. My weekends were pretty full with school work, but when I was able to squeeze in some fun, I would go out to dinner or to the movies with my daughters and my fiancé. I was diagnosed with dermatofibrosarcoma protuberans on February 22, 2013. I had several CAT scans so that my cancer specialist could find out how large the tumor was before he removed it. Surgery was on April 11, 2013, two days after my 45th birthday. The specialist had to cut deeper into my abdomen to remove the tumor because it was larger than he expected. I have had two setbacks, and they were both due to fluid build-up in the abdomen where I had my surgery. I am dealing with these setbacks one day at a time. They have been a challenge with planing a wedding, because I needed to have another JP drain put in to drain more fluid that has built up in my abdomen. I thank God that I have made it through the surgery. It just seems like I have a long road ahead me as far as recovering from all of this. As of my last appointment in October 2013 with the plastic surgeon, the doctor states that my abdomen is healing perfectly and there aren't any signs of fluid build up. The only issue I have now is that I have no feeling in my abdominal area where the stitch is. My cancer specialist did explain to me at one of my appointments that the feeling may come back or it may stay numb because he had to cut so deep due to the tumor being so large. He had to cut through some nerves to remove the tumor. At this point it doesn't matter to me if the feeling comes back, I am just grateful that the tumor has been removed and I can now move forward with my life. My stitch is soar at times, and I assume that it will take another month or so before the soreness disappears. I am feeling blessed to be able to share my story with others. Continue to have faith and make sure to take things easy after surgery - it will help prevent setbacks. Signatures in Charisse's Guestbook will appear here. Please share your thoughts! Dear Charisse, My wife also suffered DFSP for which she had a surgery to remove the tumor. Have you taken any radiation or chemotherapy after surgery? Please reply, as doctors did not prescribed it for my wife & I read somewhere that people are taking it. My best wishes for your good health & relationships. Thank you cousin for sharing your story. I will add you to my church Canaan Baptist Church's Canaan For Life prayer list. Every Tuesday night at 7:30 the missionaries including myself get together on a conference call which is designed for prayer only to pray for all cancer patients. Keep the faith God has your back.